<From Tony Blair and his cabinet to celebrity chefs and footballers, the British tabloids provide sensational coverage of the private and public lives of political figures and celebrities alike, shaping the nation's perceptions of people and events. These often derided newspapers are important and influential factors in the mediation of everyday life in the UK. 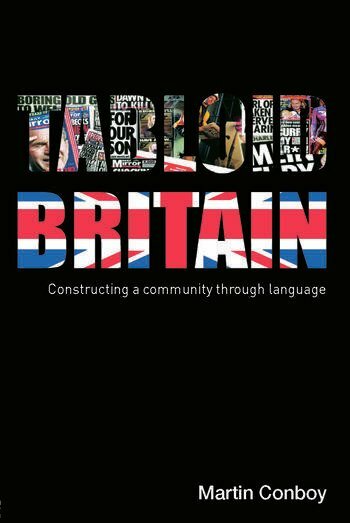 Tabloid Britainexamines four popular tabloid newspapers and uncovers the variety of linguistics strategies they use to depict contemporary Britain. These strategies are shown to construct, in a circular fashion, an impersonation of the language of the community of readers which the newspapers seek to attract. Including examples taken from a month-long study, Martin Conboy considers how this imaginary community of the British nation is drawn through themes such as 'outsiders' and 'insiders', women, celebrity, history and politics. Conboy also demonstrates how the tabloids constitute a successful modern variation of journalism hich has extended its influence beyond the boundaries of print and triggered debate about the related phenomenon of 'tabloidization'. Martin Conboy is a Reader in Journalism Studies at the University of Sheffield. He is the author of The Press and Popular Culture (2002), Journalism: a Critical History (2004), as well as being the co-editor of r aseries of books on Journalism Studies.